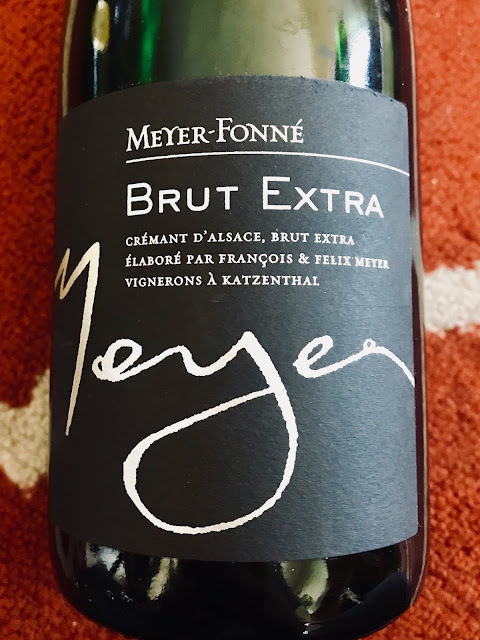 In my last post I shared with you a BIG round of wines I served at a dinner party from on one of my favorite wine regions––Alsace. Today we’ll move onto the food. Specifically, we’re starting with the appetizers. My friend Heather brought over a beautiful round of cheeses and charcuterie. She and Greg arranged the cheese platter. I have to give the guy props, Greg is getting pretty darn good at putting these together. I admit that I was not paying careful attention to how the cheeses paired with specific wines, as I was still half in the kitchen cooking at this point. However, I generally find these wines to be very cheese-friendly, and many of Alsace’s varieties are natural pairings for pork, and charcuterie by extension. To provide further guidance What to Drink with What You Eat makes the following recommendations for the three varieties we enjoyed that evening. All three are noted as being particularly good matches with cheese. Pinot Gris: Especially goat cheese, sheep’s milk cheese, smoked cheeses. Additionally, mild cheeses like Fontina, Mozzarella, Muenster, Ricotta. Riesling: Especially blue cheese, soft cheese and/or triple crème cheeses like Brie. 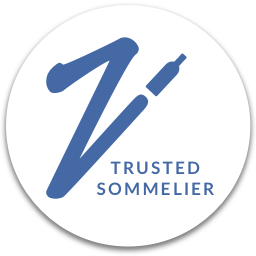 Gewurztraminer: Especially soft and/or strong and aged cheeses like Camembert and Epoisses, Muenster, and Roquefort. I still had more up my sleeve for this party! I have several favorite appetizer recipes from Alsace. In this case, however, I decided to reach out to the lovely Cecile Delarue of French & Parfait for her recommendations. She immediately responded, “I know exactly the best recipe for Alsatian wine for me: Flammekueche.” Flammekueche is also known as Tart Flambée, and it’s basically a thin-crust tart or flatbread topped with bacon and cream. I LOVE it, but had never made it. Cecile sent me the recipe from her cookbook, Voilà! Effortless French Cookbook, and I dove in. I generally stuck to the recipe, but I did make a couple of small changes. In the original recipe, onions are cut really thin and then just piled on the tart to cook in the oven. I was slightly worried about the onions cooking all the way through from raw, so I sweat them on the stovetop first. I thought this worked quite well, however, I would take better care to drain them more next time. It could be that my oven temperature is off, however I will note as well, that it took a few more minutes than originally indicated in the recipe. A couple more notes for further success. Next time I would allow more time for draining off liquid from the ricotta than I did this time. Also, Cecile recommends making the crust really thin. I thought I was doing that, but next time I’d just keep on rolling to make it even thinner. That said it was freaking delicious! Sooooooooooo good. I made two tarts and pretty much everyone took some home at the end of the evening. Although I didn’t try all of the wines alongside the tart, I’m pretty sure most of them would work quite well with the Flammekueche. That said I LOVED it with the Meyer-Fonné Brut Extra Crémant d'Alsace. The tart was a bit salty and fatty from the bacon, and the bubbly cut through all of that in a beautiful and refreshing way. A beautiful and delicious combo. I also liked the two Pinot Gris wines with the tart. The Trimbach Pinot Gris Réserve Alsace 2014 was a light option, and the more refreshing of the two. 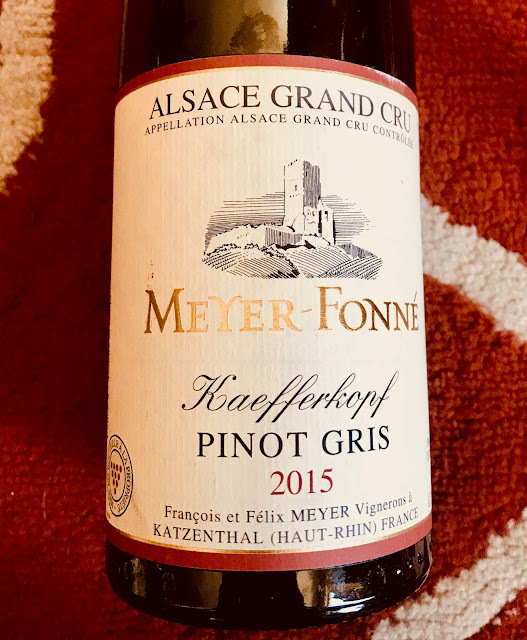 On the flip side, the Meyer-Fonné Pinot Gris Alsace Grand Cru Kaefferkopf 2015 was a completely decadent choice. The richness of this wine played up the unctuousness of the bacon. For further description and details on the wines, please see my last post. 1. Pour the flour in a large bowl. Make a well in the center. Add ¼ cup of oil, 1 Tbsp of salt, and ⅓ cup of water. Knead until you can roll it out easily. Cover with a damp cloth for an hour. 2. In another bowl, combine the crème fraîche, cheese, pepper, remaining tsp of the salt, and nutmeg. Stir well and add one tablespoon of canola oil. 3. Preheat the oven to 500°F. 4. Add the remaining tablespoon of canola oil to a large pan along with the onions with a pinch on salt. Sweat the onions until soft cooked through. Once cooked, drain of extra liquid. 5. Roll out the dough on a piece of parchment paper as thinly as possible. The flammekueche can be round or square but it is always thin-crusted. 6. Spread the crème fraîche and cheese mixture over the dough with a spatula, leaving about ½ inch of uncoated dough on the edges. 7. Sprinkle the onions and the bacon evenly across the dough. 8. Put the pie on a sheet pan or a pizza stone. Bake for 8 to 10 minutes. Cecile’s Petit Truc: Prepare everything and make the pies when your guests arrive so you can share them straight out of the oven. Photo credit on all food shots to Greg Hudson.